An interesting blog and great pics. That camera was certainly worth the money. 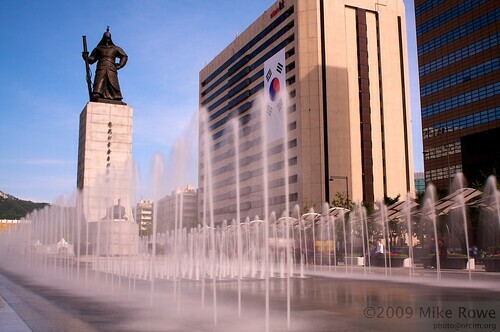 Re the statues at Gwangwhamun, the first one is General Lee Sun Shin an important person in Korean History, in defeating the Japanese he won 23 out of 23 battles and is thought to be an embodiment of Korean pride and spirit. 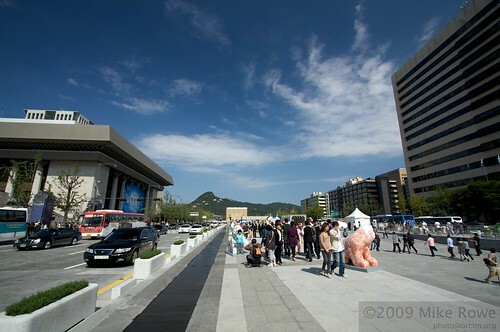 The new statue opened on oct 9th and is of King Sejong. Enjoying the blog, keep them coming. Thanks mate, always nice to hear if people like my pics. Its just a hobby but its what I enjoy.